EXCEPTIONAL sofFIONE Model/36 MODERN White Murano-Glass Shade Artemide Table Light - The Soffione 36 table top luminaire for diffused halogen lighting was designed by Michele De Lucchi for Artemide. 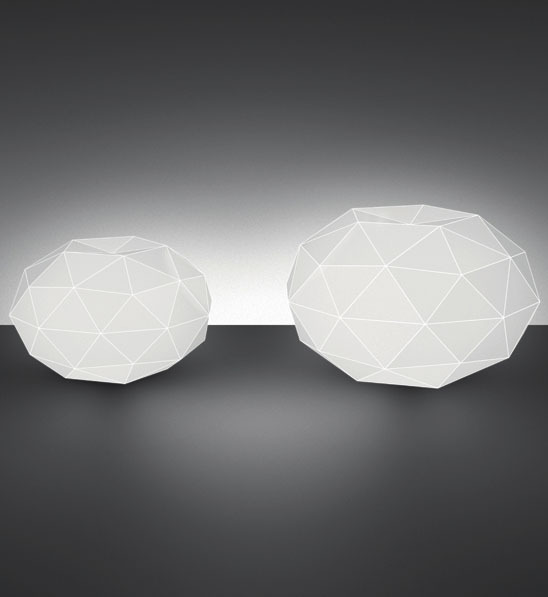 The diffuser shape is similar to the geometric structure of crystals. The diffuser in a white handblown glass with polished silk finish. 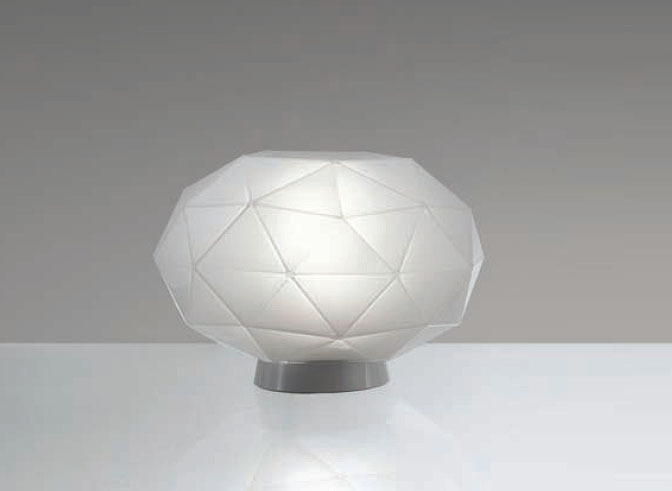 The table top lamp has a concealed base in white molded thermoplastic with weighted steel base. 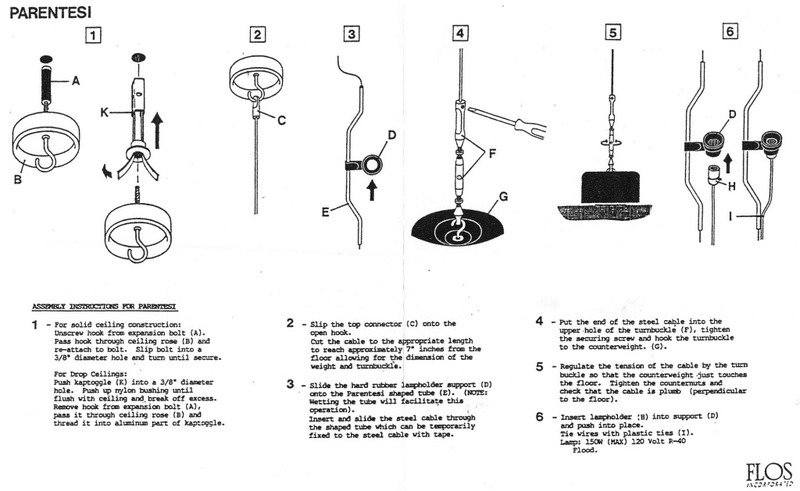 There is a dimmer switch on cord. 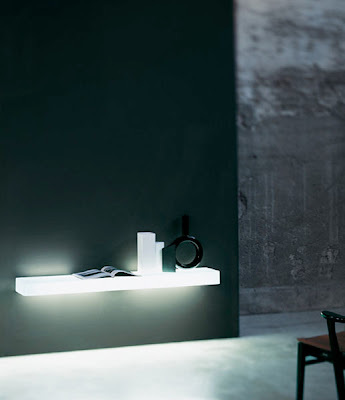 A remarkably beautiful table luminaire.